Distracted drivers cause thousands of deaths a year in the U.S. alone. 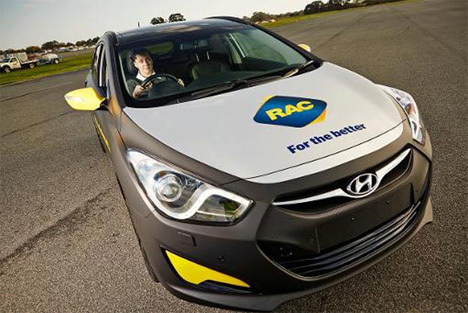 RAC of Australia (roughly equivalent to AAA in America) has come up with a brilliant solution to counteract the dangers of distracted driving: an “attention powered” car. 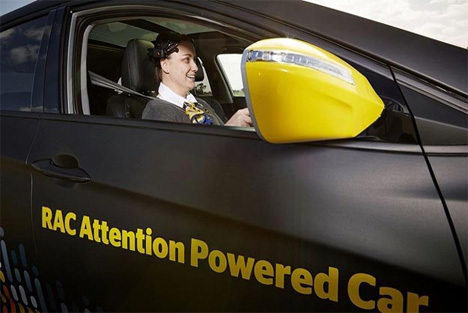 The driver wears a headset consisting of 14 sensors that measure brainwaves. The sensors recognize when the driver is not giving his or her full attention to the road and tell the car to slow down. Aside from removing the headset entirely, there is no way for the driver to override or fool the brainwave sensors. This brilliant idea could save millions of lives around the world if it were ever manufactured on a large scale. For now, the only attention-powered car in existence is gearing up for a tour of Western Australia meant to raise awareness about distracted driving. See more in Cars & Trucks or under Transportation. October, 2013.